If commercial cannabis comes to our county, you bet it could happen. Local growers want Plumas to adopt a commercial cannabis ordinance they wrote and hope to pass with a November ballot initiative. If they’re successful, they’ll realize their cannabis business dreams. And we could experience a nightmare that other rural California counties are now trying to overcome. People who couldn’t care less about playing by the rules will come to Plumas, and just like this little house in Elk Grove, homes and land in our county could be used and abused. There could be more crime. Electricity hogging could increase the danger of fires from strained circuit panels. Big, ugly grow buildings could blight formerly lovely meadows. There could be more risk to our safety and to the welfare of our children. Our environment could be damaged by selfish water diversion and wildlife poisoning. Promises of economic renewal will likely not be kept due to a lack of compliance and tax collection. Say NO to any ordinance initiative that allows commercial cannabis activity. This is the ONLY way to keep bad actors out, local growers in the light, and ensure that homes house people, not dozens of pot plants. We can also ensure Prop. 64 grow rights with indoor or outdoor limits of up to six plants per residence. Anything more will open the doors to local and outside growers and cannabis businesses to abuse our county just like those who abused this home. Read more about the raid on this house and others in the Sacramento area. ← Don’t be fooled. Vote NO in November. Is Plumas Grow initiating their own regulations for the November ballot? Not at this time. We’re encouraging the county to continue processing our CGRCO ordinance draft through the Planning Commission. Grow house of the type depicted in this photo are literally a “thing of the past” given the new legalization regulations now in place in California. In my opinion, this is simply a fear based response based on past experiences that have no relation to the current realities of the cannabis industry in California, and Plumas county. Do you truly believe that any ordinance or regulatory action will magically eradicate rule-breaking behavior like this in Plumas or anywhere else in California? At best, we can try to limit potential for abuse by making Plumas a less attractive target with a responsible ordinance that preserves personal and medical grows and prohibits commercial activity. 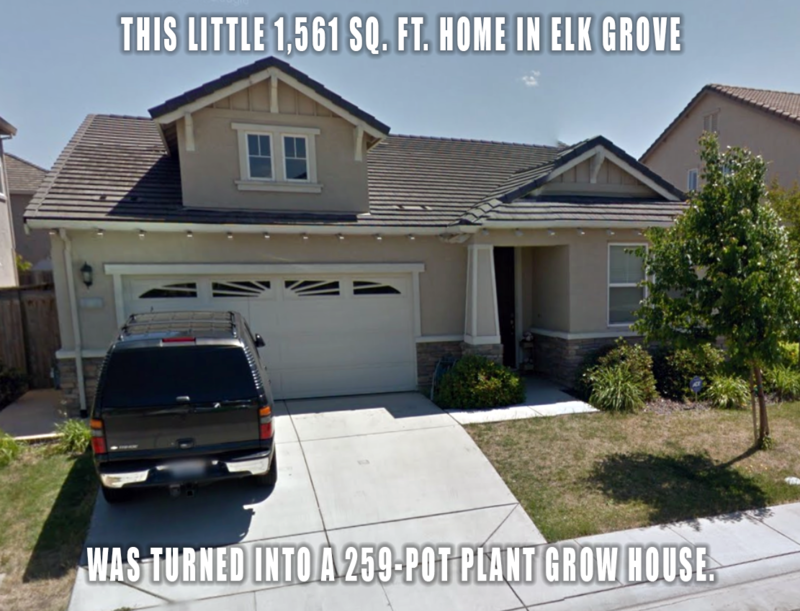 I consider this grow house a potential reality here in Plumas based on evidential past behavior, and it’s logical to assume that allowing commercial cannabis activity will make this a thing of the future rather than of the past. That is not true. About 1-2 months ago, Sacramento Law Enforcement raided 9 homes in their county. The homes were filled with Marjuana plants. Those arrested were Asian nationals. And the reason they were able to identify these homes, was because of the very high electrical useage.